For those of you who are outdoor people the walk up to the top of Ben Vrackie is a must. Ben Vrackie is indelibly associated with the town of Pitlochry at its foot, and has for long been an extremely popular ascent for those visiting the town. The summit is a great viewpoint and the ascent follows good paths through woodland, open moorland and past picturesque Loch a' Choire. The route description includes two optional extensions to make longer walks. The walk is fairly easy along well made paths though there are a couple of steep sections. The starting point for the Ben Vrackie walk is the car park west of Moulin. Please note that hillwalking when there is snow lying requires an ice-axe, crampons and the knowledge, experience and skill to use them correctly. 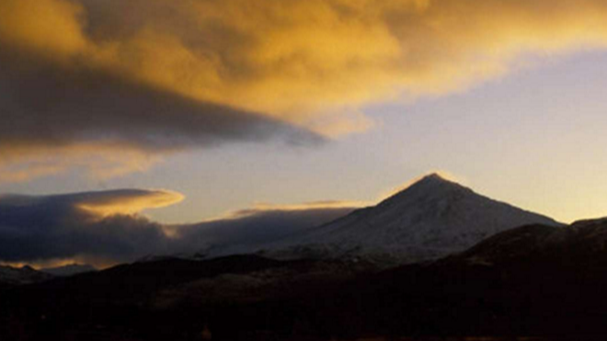 Schiehallion in Perthshire is one of Scotland's best known landmarks and hills. Translated as ‘fairy hill of the Caledonians’, Schiehallion is 3,547 ft (1,083 m) high, has an almost perfect conical shape when viewed from the west and enjoys a splendid isolation from other peaks. Hillwalkers, locals and visitors alike affectionately regard this hill as the `Matterhorn of Perthshire`. The mountain holds a unique place in scientific history. In the 18th century Schiehallion was chosen as the site of the first ever measurement of the mass of the earth by the Astronomer Royal, Neville Maskelyne, in 1774. The calculation was based on the way that the mountains own mass caused a pendulum to pull away from the vertical. The John Muir Trust owns 935 hectares of the mountain including the summit and path and the wonderfully wild Gleann Mor on the southern side. The trust is aiming to bring new life into the mountain and has done extensive restoration work on the footpath. Visitors can take a short stroll from the Braes of Foss car park or, for experienced hillwalkers with a high level of fitness, climb to the summit to enjoy invigorating wild views over the Great Moor of Rannoch. Whilst on Schiehallion look out for birds of prey soaring and hunting over the mountain and moorland such as grouse, ptarmigan and whinchats. Walkers may also catch sight of red deer moving gracefully across the hilly terrain. Pitlochry walks are on a very popular network of paths which run in and around Pitlochry. The Pitlochry walks are promoted in an excellent leaflet as well as a number of boards feature a map of the 41 miles of paths, quiet roads and tracks, which link Pitlochry with Killiecrankie, Moulin and Strathtay. 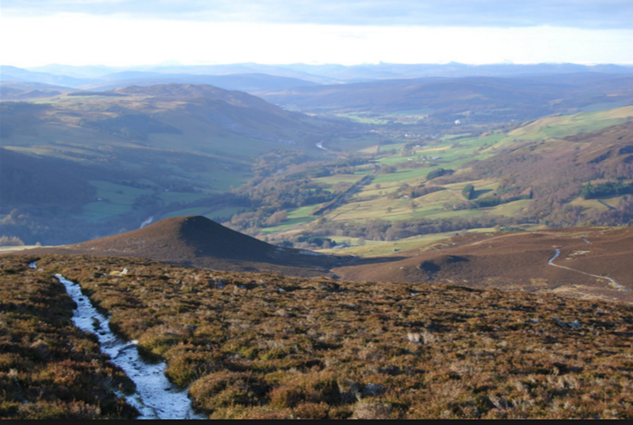 The walk path routes include a route to the summit of Ben Vrackie and another path to the Pass of Killiecrankie, a very special place in its own right. Perth and Kinross Council's community green space team updated and improved signage and a new illustrated Pitlochry Walks information leaflet in 2012. The new full colour display boards have also been installed at strategic sites around the network to guide visitors to the paths. Warning - The Pitlochry walk paths cross land which is managed for a variety of different uses and anyone accessing them is reminded to look out for land management notices advising of any ongoing forestry or other access restrictions, and to follow the guidance given. Some paths are used by cyclists and horse riders as well as walkers, so awareness and consideration for others is also needed. The Pitlochry Walks leaflet is available from the Pitlochry Visit Scotland Information Centre (Tel: 01796 472 215), for a cost of £1. There is a walks display board in the centre car park too.